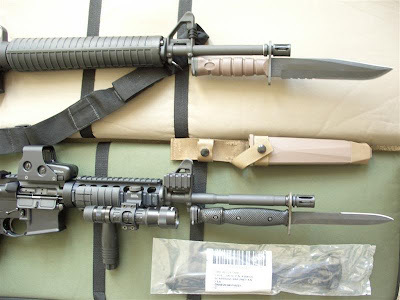 The OKC-3S is a bayonet developed by the United States Marine Corps to replace the M7 bayonet as its service bayonet for the M16 family of rifles. 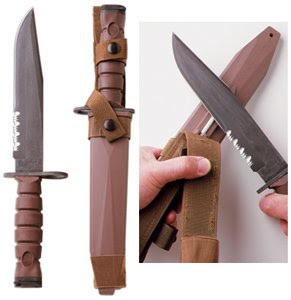 This multi-purpose bayonet provides greater durability than the M7 and also functions as a fighting knife. 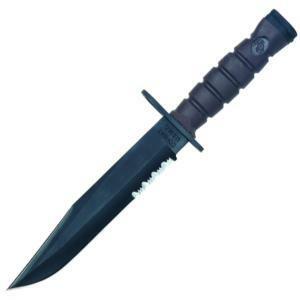 The OKC-3S is part of a series of weapon improvements begun in 2001 by Commandant of the Marine Corps James L. Jones to expand and toughen hand to hand combat training for Marines, including training in the Marine Corps Martial Arts Program and knife fighting. After the decision to use the Multi-Purpose Bayonet was made in December 2002, 33 different knives were evaluated. The OKC-3S was chosen as it performed best, or next to best, in nearly all testing categories. Production and distribution began in 2003. 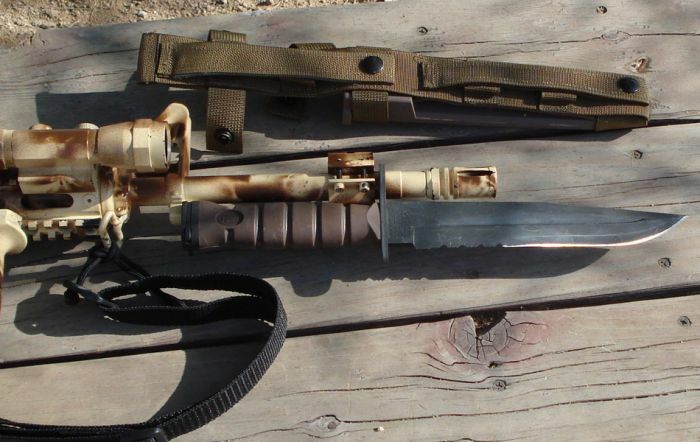 The OKC-3S is manufactured solely by the Ontario Knife Company and identical civilian versions are available for purchase. 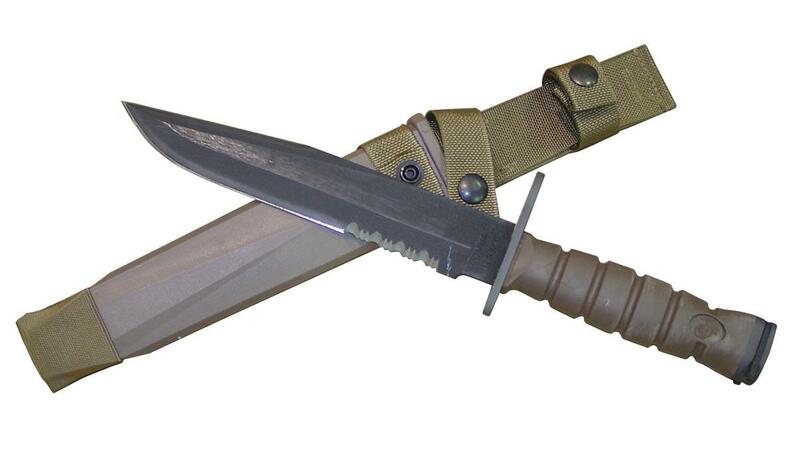 It bears a resemblance to the Marines' iconic Ka-Bar fighting knife, though it does not have a fuller. 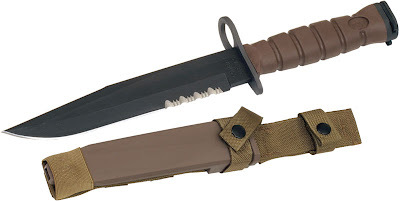 It is larger, thicker and heavier than the M7 and M9. 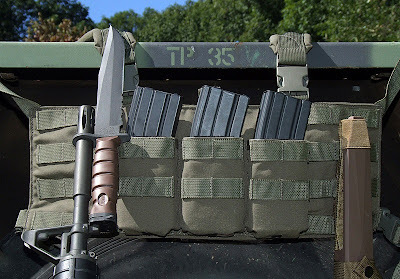 A sharper point helps penetrate body armor that many modern adversaries wear; while serrations near the handle help improve its function as a utility knife. In one demonstration, a prototype was able to pierce a punching bag covered with aircraft aluminium and a ballistic vest. 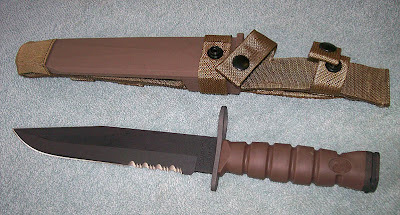 The entire weapon is designed to be corrosion resistant, and weighs 1.25 lb (0.57 kg) with its sheath. 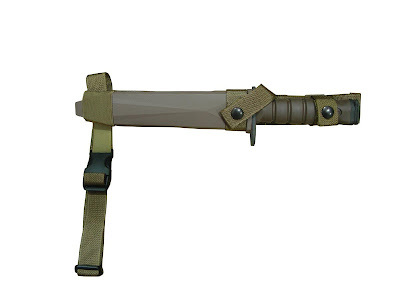 The scabbard and grip are colored to match the Corps' coyote tan gear, compatible with both woodland and desert camouflage. The NATO Stock Number is 1095-01-521-6087. The OKC-3S features an 8 in (20.32 cm) long, 1.375 in (3.49 cm) wide, .2 in (0.51 cm) thick blade. 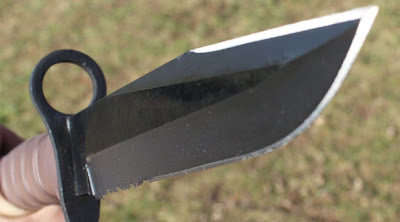 The serrations measure 1.75 in (4.4 cm) of the blade length on the true edge. The blade is made from high carbon steel rated at HRC 53-58 and is capable of functioning without breakage in operating temperatures of -25 to 135 °F (-32 to 57 °C). The blade also has a non-reflective phosphate finish. round. This design helps prevent repetitive-strain injuries and hand fatigue during training. 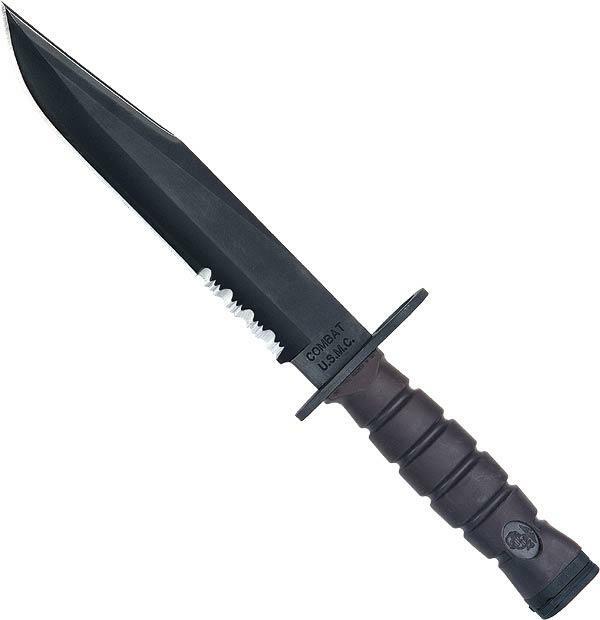 It also features an embossed Eagle, Globe, and Anchor molded in to allow a user to identify the direction of the blade in the dark. The full tang connects the cross guard/muzzle ring (which is .165 in (0.42 cm)) and pommel latch plate that clasps the barrel lug; both are phosphate coated like the blade. 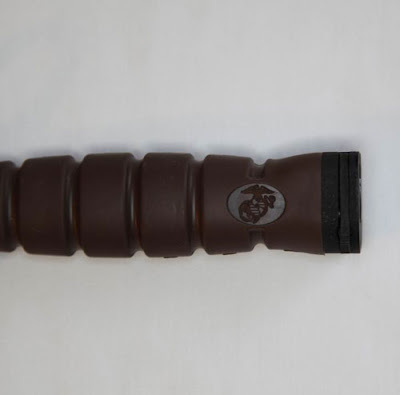 Former Ontario Knife Company president and chief executive Nick Trbovich Jr. said of it: "We spent a lot of time making sure the handle was ergonomically correct… There are no blister points on the handle. The Marines are the best and they deserve the best." The polyester elastomer scabbard, designed by Natick Labs, offers a weight and noise reduction from the previous M7 Scabbard and is ILBE compatible. 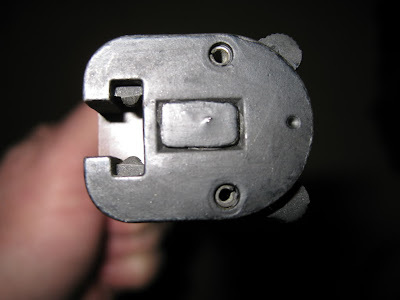 It has a fitted internal stainless steel spring and friction device at its throat to secure the bayonet. A ceramic-coated aluminium honing rod is located on the back of the scabbard. The scabbard is compatible with the MOLLE/PALS modular attachment system.